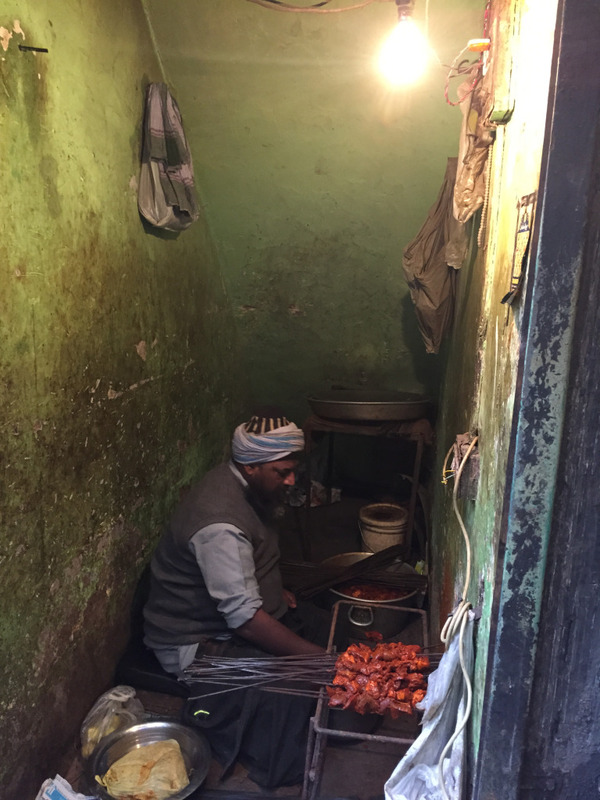 Some of the best Dilli food is found in Chandni Chowk & adjoining areas like Chawri Bazar as many of the shops have not changed much from what they were about fifty to hundred years ago. This is not a comprehensive list but is a fairly large list which u will need few visits to cover – Some of the eateries mentioned below (e.g. Karim’s ,Jalebiwala etc) have been covered in detail (in other posts) in this blog – u can read those & enjoy the pics as well. The best way to get here is to park your car in CP (Connaught Place) and take the metro to Chawri Bazaar or Chandni Chowk. Let me warn u though that there r huge queues at the ticketcounters of Chandni Chowk station on the way back. The other option is to park the car at CP & take an auto rickshaw. 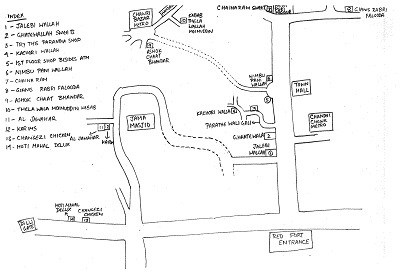 As u alight from the metro at Chawri Bazaar, take the gate towards Hauz Kazi. Once you are up on the street, you will see a clearing/intersection of roads. Go to the diagonally-opposite corner of the road, towards your right. You will find a tiny shop called ‘Ashok Chaat Corner’. You will see the red-coloured Times Food Guide certification on its wall. Ask for their signature offering – kalmi chaat and urad daal chaat. They use a kachalu chutney which is totally different, and simply awesome. 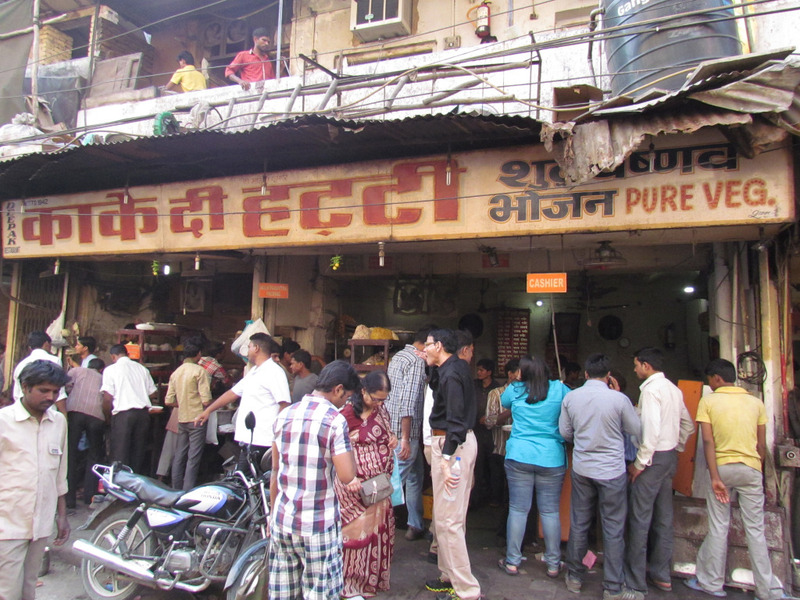 Avoid the paani puris – they r no different from the rest of the places. 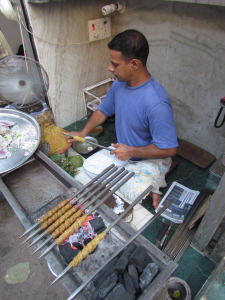 To try one of the best kulfis in town, check out Kuremal Mohan lal kulfiwale. 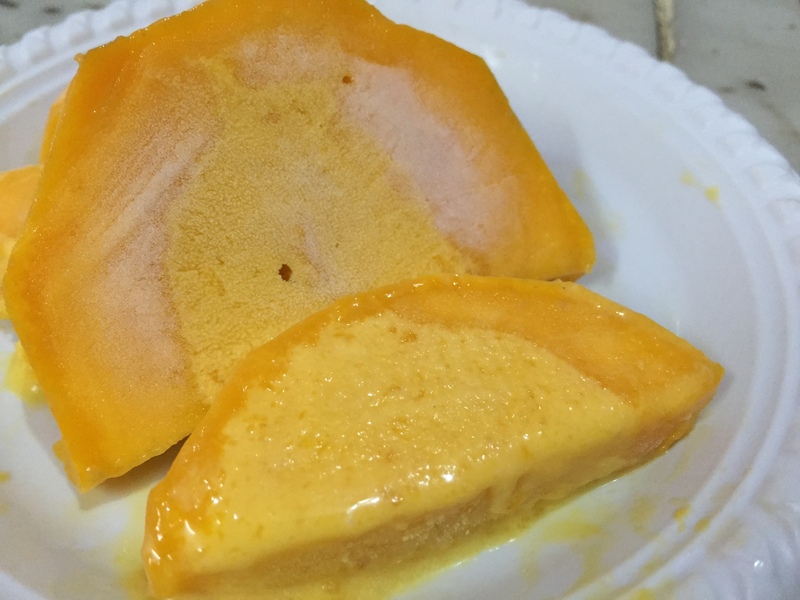 Do not miss their stuffed mango kulfi during summers / jamun / lichi…. 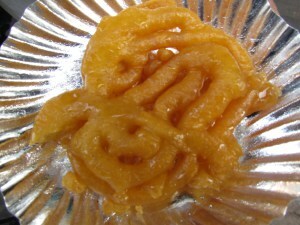 Then take a rickshaw to the jalebi wala store in Chandni Chowk. Have jalebis there and start walking towards the parathe wali gali. ‘You will find Ghantewaala sweets on your left. 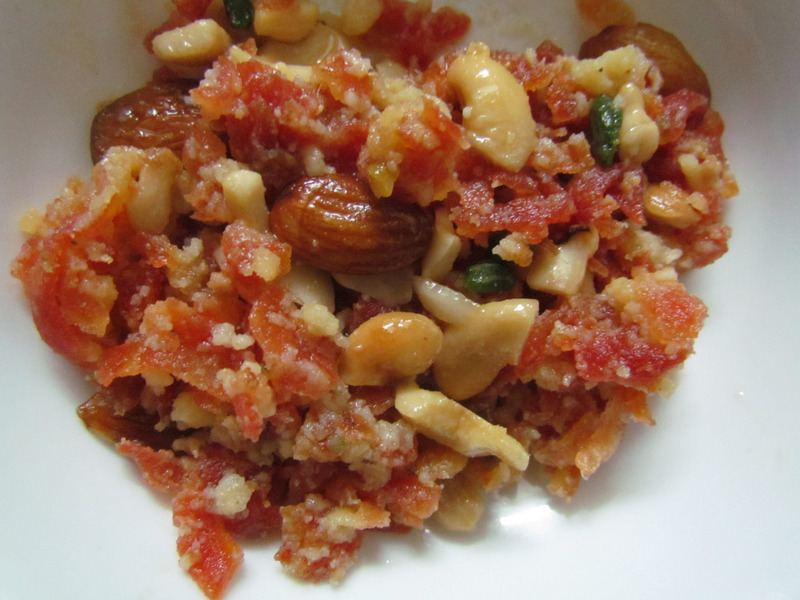 They have fantastic kalakand and are also known for sohan halwa. I prefer the sohan tikki over the sohan halwa. The sohan papdi is also good.’ – I wrote that in 2011. The 200+ year old shop closed down in 2015. 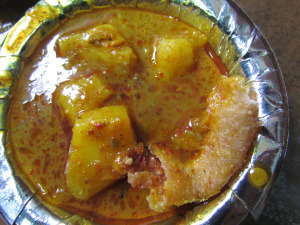 A little walk along the same footpath as Natraj, u will find a chaatwala – very good aloo tikki chaat & also fruit chhat. Go for the less masala version. Paranthewali gali is over-hyped and sadly they deep fry the paranthas!!!! 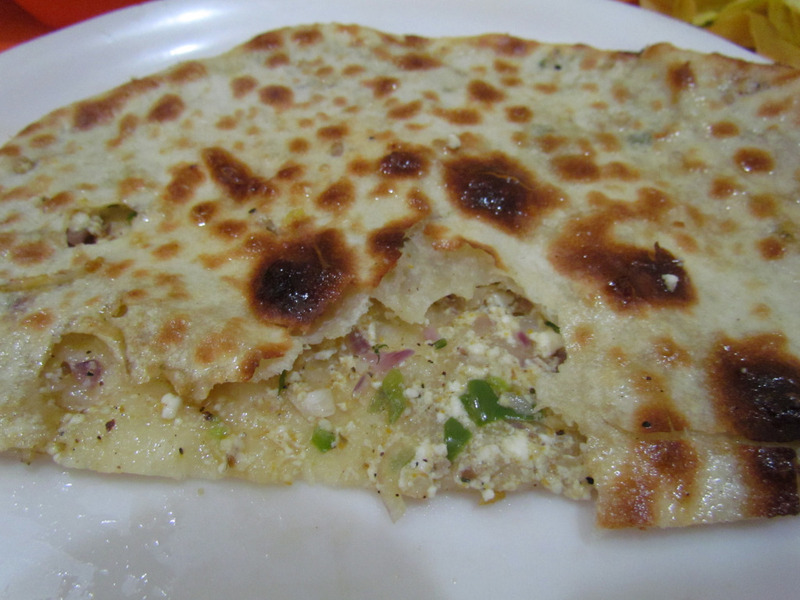 Only two paranthas that stand out are rabri parantha and papad ka parantha. 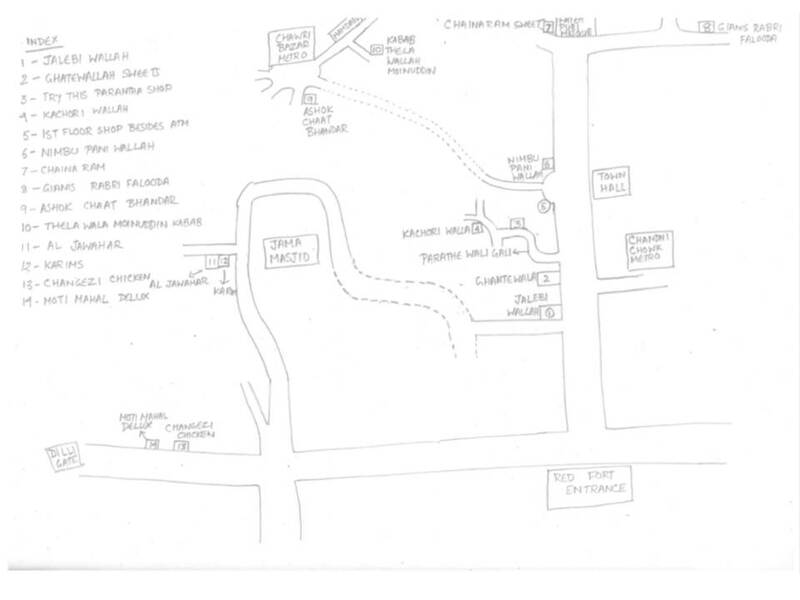 Then start walking in as directed by the arrows in the map (walk into paranthe wali gali, turn right, turn left – you can stop for an aloo tikki chaat on your left. Post this you’ll hit a T-point; turn right and keep walking – you will find the shop to your left) till you reach JB kachori wala on your left. You will be constantly jostling with people, stray dogs, cycles, thelas and motor bikes; but you’ll put with all this as the kachoris are too good – though they r spicy & hot as well. 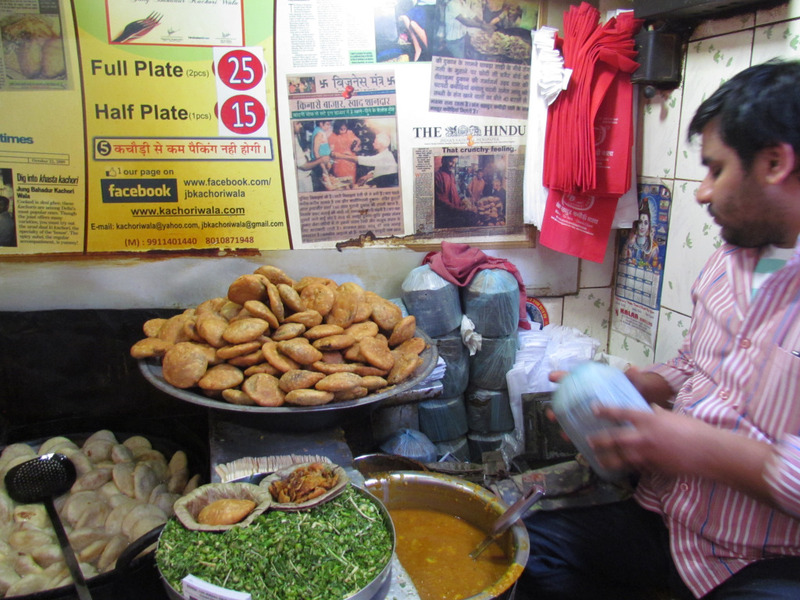 This is the second best Khasta Kachori I have ever had – the best one so far being Bajpai kachori bhandar in Lucknow. Ask for Sagarmal Brijbhushan Rewariwale & try their kachori subzee. They serve Desi Ghee bedami pooris with super hot ‘n spicy aloo that set my tongue on fire. Walk out of the Parathewali gali. Turn left and walk towards Town Hall. Once you reach the Town Hall clearing, there will be a shop on the 1st floor to your left – Asha Ram Foods. You will have to take a narrow staircase beside a Kotak Mahindra Bank ATM. Once upstairs, you can get some good paranthas and sabzees. You will have to buy the food by waiting in a line, unless u have a lady in the group – says the waiter ‘If u have a lady in the group we serve u at the table – else u stand in a queue’!!!!! 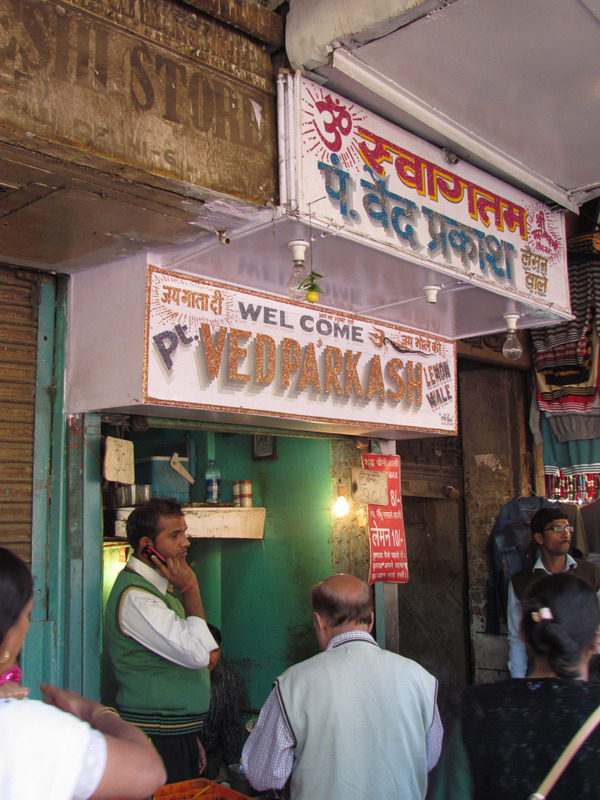 Cross the Town Hall clearing and stop over at Ved Prakash nimbu pani wala. We, at times, have two glasses one after the other. As u walk towards Fatehpuri Masjid u come across Tiwari Brothers on ur right. 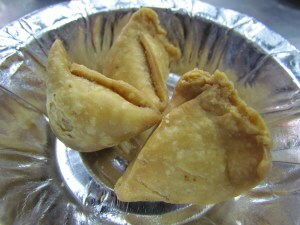 They serve some good samosas kachoris & sweets. A little further is Shiv Mishtann Bhandar. 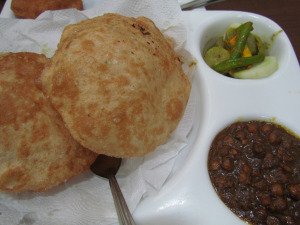 They serve Desi Ghee bedami pooris with aloo, nagori pooris with halwa & chholey Bhature the traditional way super enjoyable till the time u start thinking calories. Keep walking till you are near Fathepuri Masjid. Beside it is Chaina Ram Sweet shop. 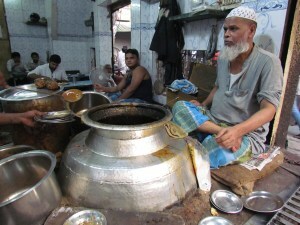 They are famous for Karachi halwa. That is good but I prefer the sew paak much better. 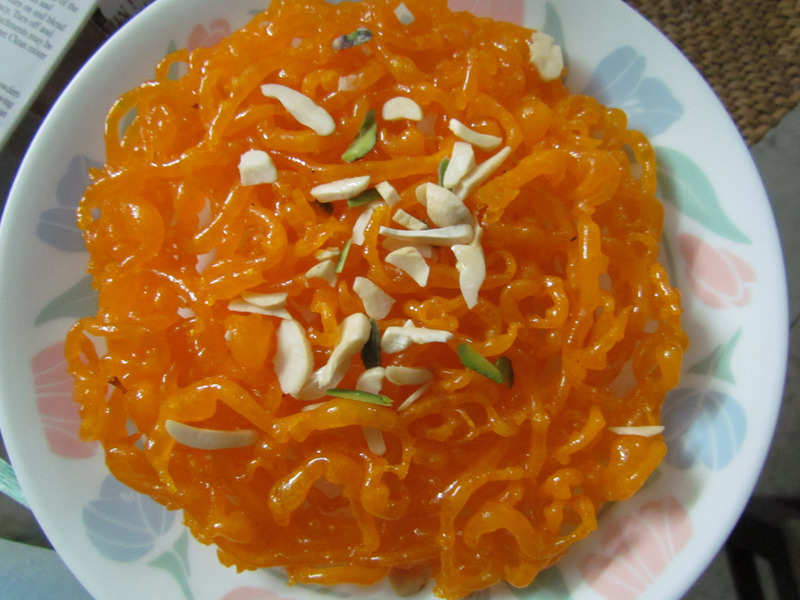 Sew paak is a sweet made of sew (bhujia)!!!! I have never had it so good anywhere else. On the right of Fatehpuri Masjid, go straight to Giani’s di hatti. They have a unique Rabri Falooda in one counter and daal halwa and gajar ka halwa in the other. 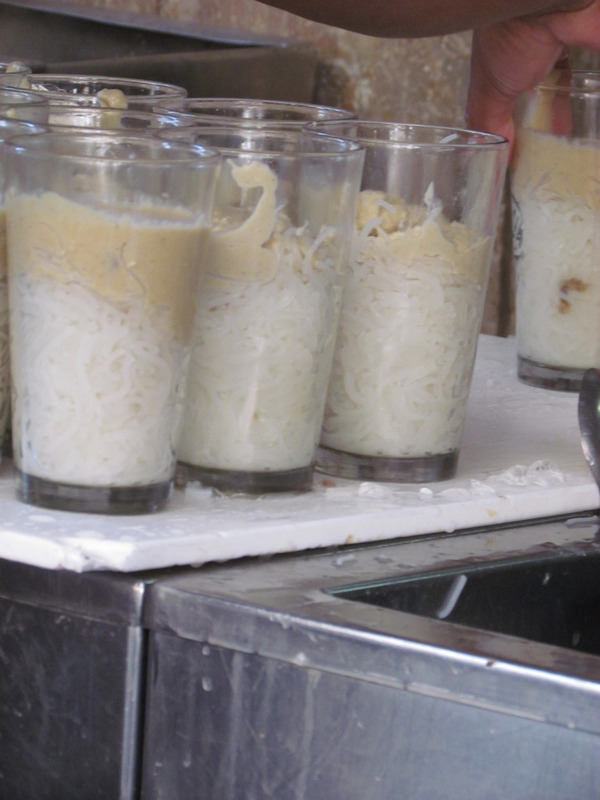 The rabri falooda looks innocent but is very heavy- ask for one glass & ask for the second if u still have space. The halwas r one of the best I have had in a while. All the halwas at Bikanervalas , Haldirams & Om sweets r peanuts in front of the halwa served here. Beside Gianis there is Kake di Hatti. They make some awesome paranthas (light years better than the ones at parathewali gali) , super paneer curries, daal & lots of other curries. 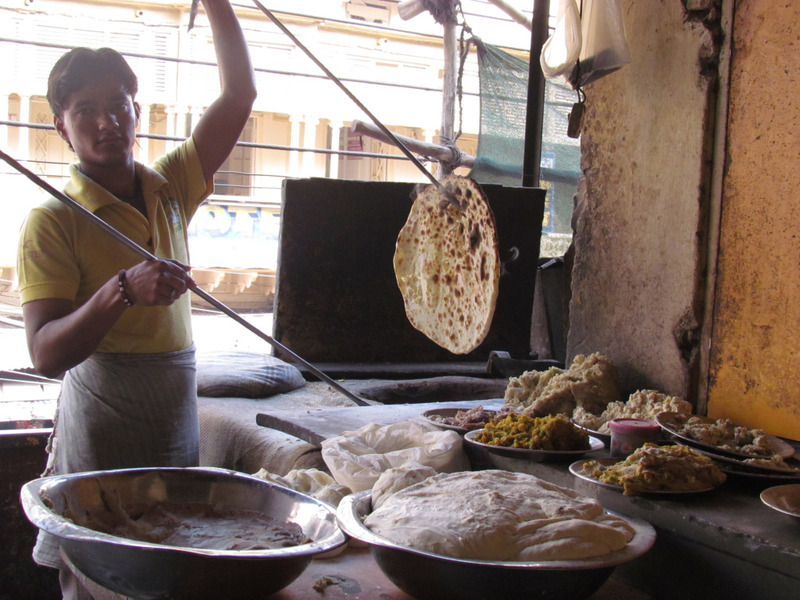 A ride towards Jama masjid on a rickshaw in the morning hours will take u to the famous Lotan chholey Kulcha wala – A street side vendor selling unique chholey with good kulchas in the morning for 2 hours. This was all veg food. 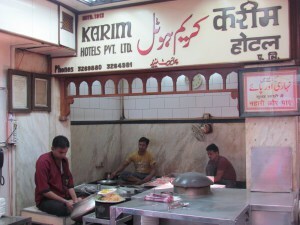 For non-veg food, one of the most popular places is Karim’s opposite Jama Masjid. Go for the mutton sheek kabab and the burra kabab. They have a long menu card but these two stand out. 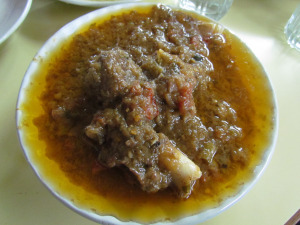 From 9.00 am in the morning to 11.30 am, you will get slow fire cooked overnight – Nihari and paaya (stew made of hoofs of the goat). This is also something not to be missed. For curries, I find Al Jawahar old shop better. Just walk out of the shop and walk into the Al Jawahar old shop to the right of Karims (when u face Karim’s). Eat the main course here. The mutton stew & korma is great. To find other non-veg food, get off at the same place in Chawri Bazaar metro station and start going left till the hamdard shop. There are quite a few non-descript meat/kabab shops here. On the road perpendicular to hamdard, you will find a shop named Sangam Kababs. Moinuddin kababwale started this business on a thela and now his sons r taking it forwards. YUMM kababs for Rs. 10 a piece. 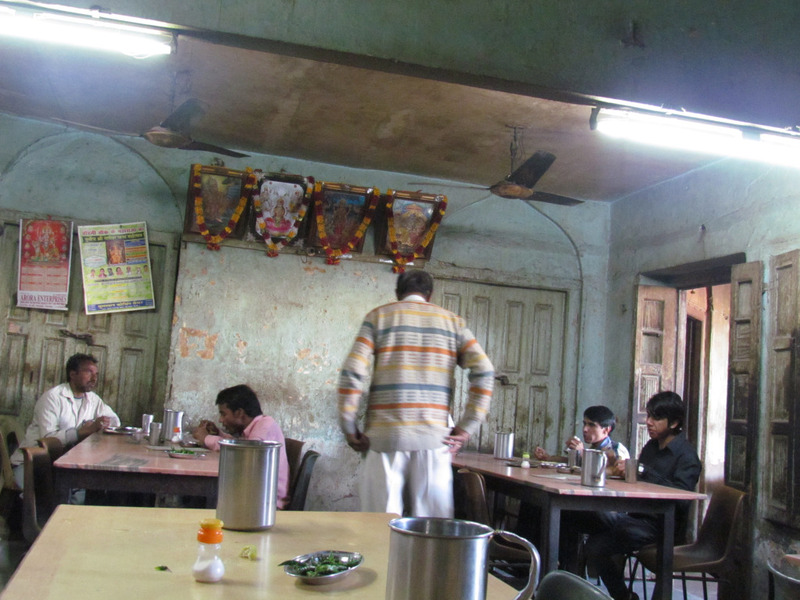 If you keep walking further you will find Mirza Ghalib’s house also to your right – though there’s nothing to eat there. 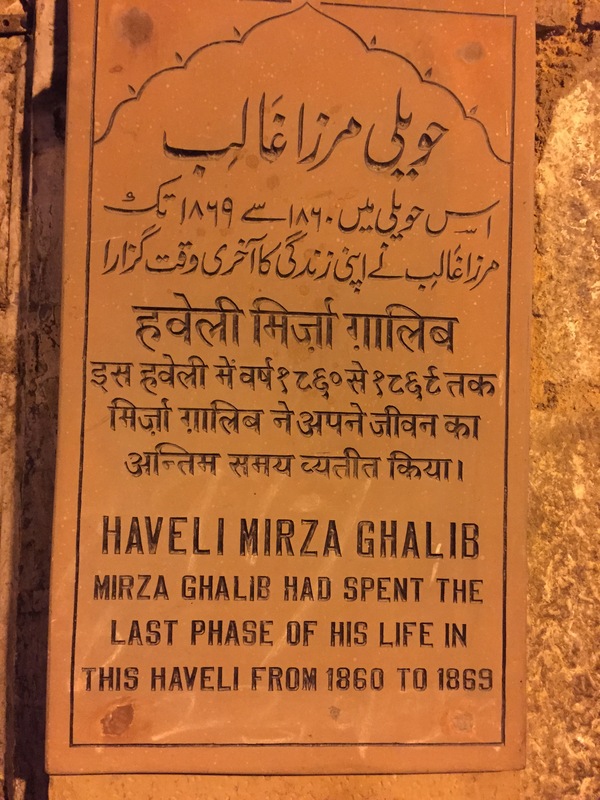 Placard at Mirza Ghalib’s house, part of which is now a museum. 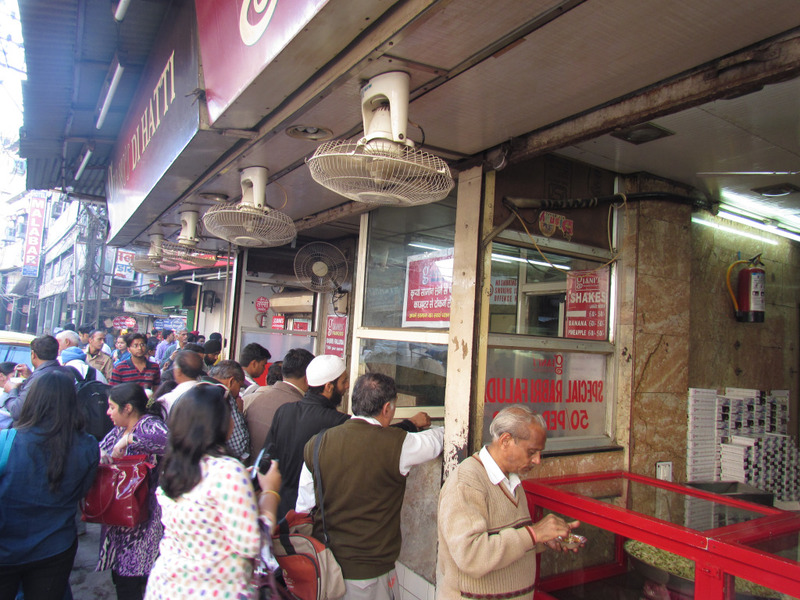 On the main Daryaganj Road (the road between Delhi Gate & Jama Masjid), there is a shop called Changezi Chicken. 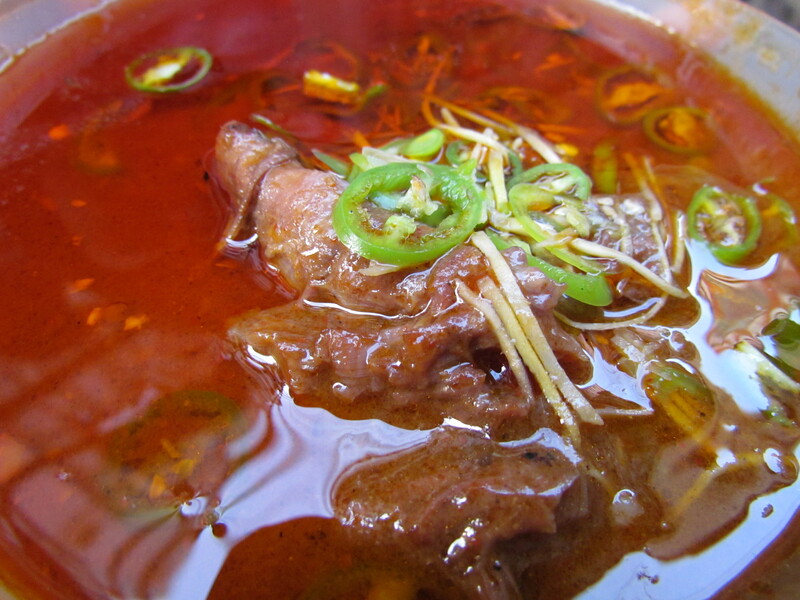 You can try the ‘changezi chicken’ dish but the ‘afghani chicken’ dish is lip-smacking. 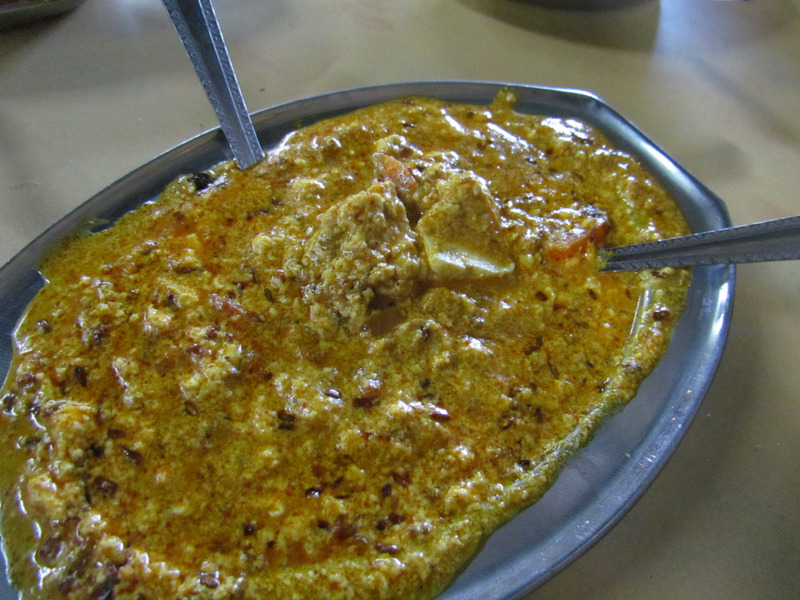 Try Tandoori Chicken and Butter Chicken at Moti Mahal Deluxe on the main Daryaganj Road. They claim they are the inventors of these dishes. If u want to gorge on Dilli’s own meat curry Nihari (meat slow cooked overnight with spices & herbs) , try Haji Shabrati Nihariwale. If u r more adventurous, try Kallu Nihariwale. U will surely not b disappointed. 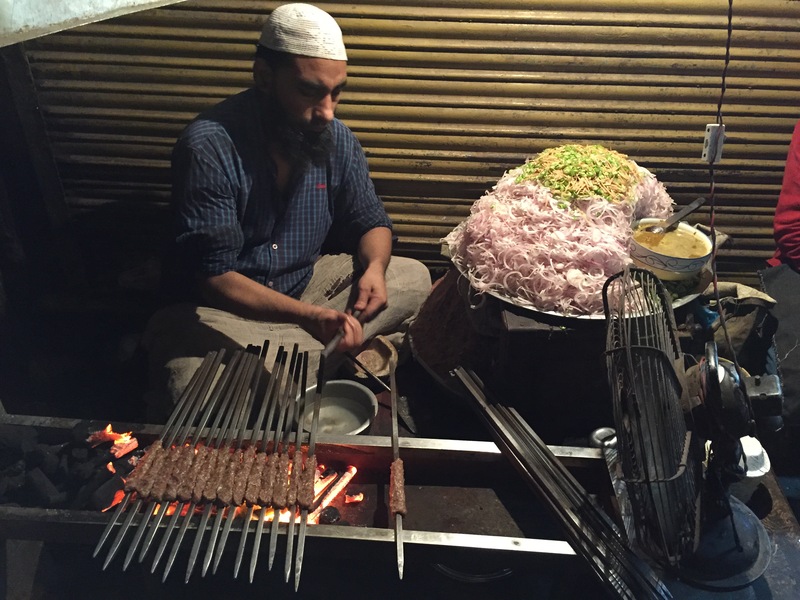 Near Haji Shabrati in case u want to try roadside Kababs, u might like Babu bhai kababwale. Kaale baba kababwale makes some good meat kababs as well. I guess this is a good amount of homework (or, rather road work) for you to start with. Enjoy the experience, and pop in a few pudin haras (2 spoons of Aquaptychotis in case u r a bong) if there’s any suspicion of post-food indigestion etc ………………….. Thanks for adding the nimbu wala parantha to my list. Will try it sometime. With thanks and Please retain updating your Website. I will probably be stopping by every single time you do . Hi Anurag, Wud try some time. Thanks for the info. Good blog you have here.. It’s hard to find high-quality writing like yours these days. I truly appreciate people like you! Take care!! Thanks so much for writing in. Wud visit these in next few months, review them & add them in. This is one of the best food blog that I have come across. I have been to many places reviewed by you & can safely say that the reviews are absolutely spot on. I was researching places to eat for my own blog and found this. And I can’t wait to get back home to try this! Thanks for the information and I will really need that map t go around! bauji chaa gye tussi. jo kahi nahi mila aapne chaap diya. book mark kar diya apke page ko, hats offf. 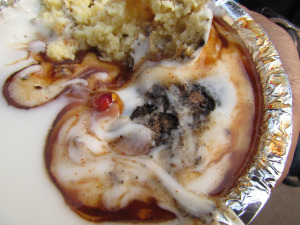 First was Ashok Chaat on Chawri Bazar- Tried the Kalmi Chaat and Golgappa there. Kalmi Chaat was something completely different, it is made of Kalmi Bada (a crispy fried biscuit with a texture in between a Chakli and a Papdi). The dish was very tasty, especially the Kachalu (Raw potato) chutney they put! 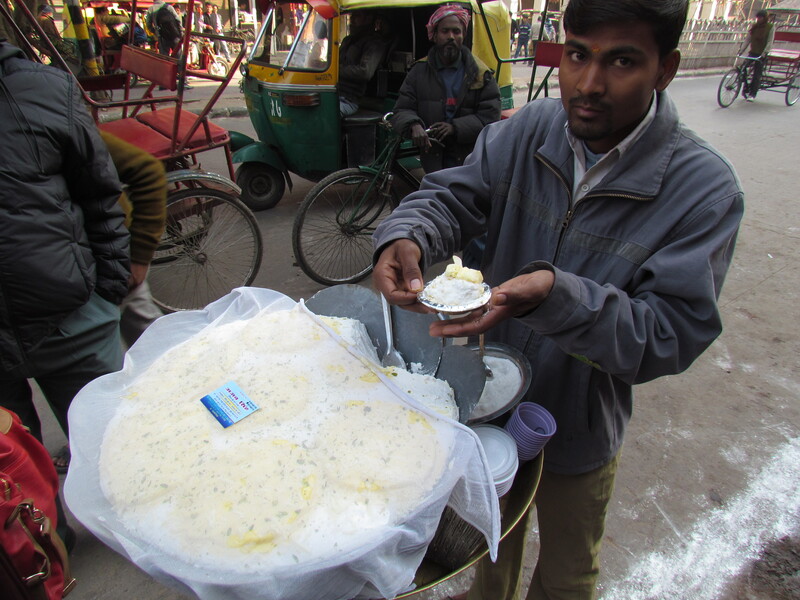 Golgappa was very good, but then Golgappa everywhere in Delhi is awesome! Total Cost was Rs. 70. Next up was the Paranthewali Gali- Tried 3 paranthas- Paneer, Papad and Nimbu- The taste is not what we expect- the parathas are deep fried here like puris. I felt it was overrated, the Nimbu Paratha stood out… Papad Paratha was a disappointment… Paneer Paratha was so-so, but quality of Paneer was good. It was served with 5 types of side dishes for five types of taste. On an average a paratha costs Rs 50. There’s a famous “Omlette wala” as well near Fatehpuri Masjid, as we move ahead in the main lane (townhall on the right side). We reach a T-point, where if we take a right we reach Giani’s. At this point, take left, the road will turn towards right. Go straight towards the end of the busy road, you will find the “Omlette Wala” on the left at the footpath. Very popular in that area, try the “Double Desi Egg Omlette” made in dollops of yummy Amul butter 🙂 😉 Heavenly!!!! I havent tried this so far. Thanks so much for suggesting. will try. Hi…I’ve tried Chicken Changezi recently and found it pretty average. Had heard many great things about it but disappointed. The best chicken I have eaten in delhi is in front of Jama Masjid. You take left from main darya ganj road towards Jama Masjid and keep walking further. There is a hospital on your left had side..keep going straight. There is a shop which sells Urdu books during the day and in the evening ( I think post 7 pm) there a chicken stall which comes up. Its name is Anmol chicken Center. It sells most delicious chicken tandoori I have ever eaten. Whatever stock he has, gets over by 9 pm. So ensure you reach before 9 if you wish to try. thanks so much for sharing this. Will try. U might have noticed in my post that Ihave said we liked the Afghani far better than the Changezi…. Loved the way you described about the roads and the turns to take the destination.One can literally visualize the street after reading this post.Great Work! You do a fabulous job. One of my most read foodies. Can I request you to do some comparative analysis? As in, same dish, different eateries? Thanks. Got to stay it, your blog is awesome. Thanks so much, faheem. Feels great that I cud b of help…. You must go to churewalan gali, you can walk it from Jama Masjid, dont enter the lane in front of the masjid which houses al jawahar and karims, cross it and taken the first left narrow lane/gali and keep walking asking for directions to churiwalan gali, once there ask for pehelwan’s chicken changezi shop. This is the first and only authentic changezi shop, the owner was a body builders, they have their own masalas and their taste is heavenly, have it there with the tandoori roti, not with rumali roti. Have a seena//chhati as they call it, you can order a thumbs up to go with it, u can even sprinkle the masala and the chatni provided on the table, but the taste is fabulous, with our without it. Thanks. Great to hear that u liked the same. Will do a weekend trip to Nashik to try out food and then write about it. I want to know famous lassi wala in or nearby Chandni chowk. Thanks for the information. Sweets are yummy and delicious. Great blog! A must visit for any foodie. Thanks for the effort. Haveli Dharampura gives you the opportunity to get a feel of the Mughal era through the architectural beauty of the Haveli teamed up with the amenities of the present era. If you’re looking for a romantic getaway, a family holiday or just an unforgettable mini vacay, come and experience the magic of Old Delhi with us! Have you visited the Haveli yet? Check their website for more information and make sure you follow them on Facebook, Twitter and Instagram for exciting updates. Hi, is it meant for me or my readers?